About Us – Protect Water for Future Generations. WE STAND FOR FUTURE GENERATIONS! 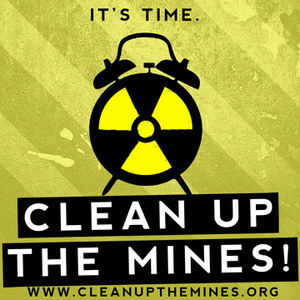 The mission of the Clean Water Alliance, founded in 2009, is to stop current and prevent future radioactive and destructive mining in the Black Hills region to protect our valuable resources – especially our water – for future generations. The Alliance is a diverse collection of citizens concerned about the health, environmental, and economic impacts that irresponsible mining projects would have on our communities, people, economy, and natural resources. After much research and investigation we are convinced that gold mining in the Rapid Creek drainage or uranium mining anywhere in the Black Hills would have dire consequences. Our goal is to prevent radioactive and destructive mining in the Black Hills region and protect our valuable resources – especially our water – for future generations. This is not just a local issue. Once water aquifers are contaminated by mining, they can never be restored. WATER IS LIFE. LINKS HERE: WHAT CAN YOU DO? DONATE: Donating funds to the Clean Water Alliance will help us spread the word about the threat of destructive mining in the Black Hills. Over the years we have been able to use some of these donation to purchase billboard space, printing informational hand-out, and set up booth space at public events and gatherings. Check out our donation page!